Holidays are over for our League of Legends players, who are back at the gaming house and to training after a break. They have to learn how to compete in this wild new meta. Société Générale partnership with GamersOrigin sets Scott “Tonerre” Ménard and his teammates in the best positions before this new split. Ranked #1 at the LoL Open Tour leaderboard, which is the official Riot France circuit, 90 points ahead of Gentside, the French org is well-placed in the race for a spot in the incoming European Masters. The next rendezvous is on August 12th with Valenciennes Game Arena online qualifier, and a couple of weeks later with ESWC Metz qualifier. The first LAN of this new split will be held in Metz on September 8-9th. The great results streak – first positions at Occitanie esport and Gamers Assembly, the third position at DreamHack Tours – will help the team to accomplish its goals and to qualify for the EM. Once qualified, GO aims to reach semifinal again, after achieving this result in the previous edition, or even to go further in the tournament. However, we must beware of the others Top 8 teams: LDLC, Vitality Academy, Gentside, Solary / Lunary. Made in France will compete under Supremacy tag while Millenium ceased to participate in professional League of Legends. Concerning the transfer market, there will be no change in GO roster this split: Phaxi will be our top, TynX our jungler, Tonerre our mid and captain, Toaster and HustlinBeasT our botlaners. The only change is Ram “Brokenshard” Djemal’s departure and he will be replaced soon according to the team manager, Lucas Legrand. GamersOrigin: How do you feel few weeks before the next official tournament? Lucas Legrand: I am very happy and I couldn’t wait to begin this split with the team. We shared strong moments during the last months and we are familiar with each other. I can’t wait to go to a LAN again with the same aim as ever: keeping our #1 rank. GamersOrigin: What is the plan before the next tournament? Lucas Legrand: We decided to work on fundamental principles. Most of the players played at home during their holidays but it was only in SoloQ. We have to work on communication, macro, meta, draft… We scrimed earlier this week, they are not at 100% yet but they are improving very fast. There are details to work on, but generally speaking the team is doing good. GamersOrigin: When will the new coach be announced? Lucas Legrand: We decided to part away with Brokenshard, it was not an easy move to make. At the moment we are working with a new trainer, he will be announced in a few weeks. 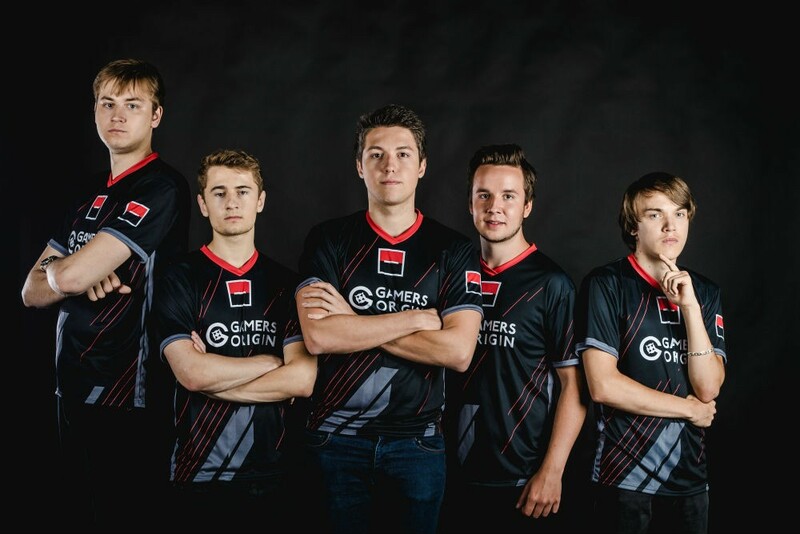 GamersOrigin: What are the goals of this incoming split? Lucas Legrand: The goals are the same than before: staying the number one French team, qualifying ourselves for the next European Masters. Of course, we are dreaming of winning the competition, but we stay focused on our primary goal. Step by step #GOWIN.